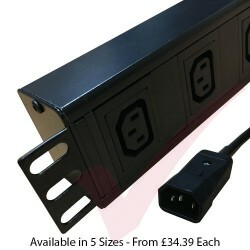 Vertical & Horizontal rack PDU's (Power Distribution Units) available with C19, C13 & UK Sockets and trailing extension leads connected to C20, C14, 16 Amp Commando & UK 3 pin plugs. 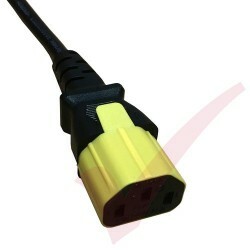 PDU’s and Power Extensions There are 63 products. 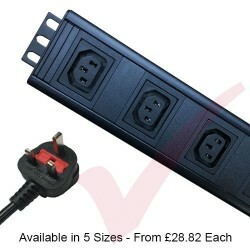 C13 Socket PDU's with trailing leads to 16Amp Commando, C20, C14 & UK plugs. Available as Vertical & Horizontal layouts. 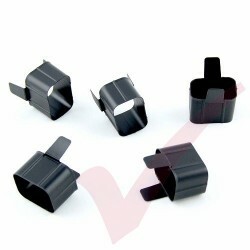 Secure C14, C13, C19 & C20 inlet & outlet sleeves help prevent accidental disconnections of power cables. 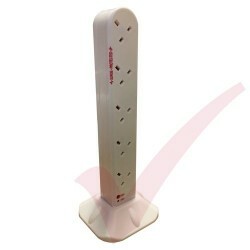 Our C19 & C13 outlet block out shield covers guard against unauthorized power cables from being plugged in. 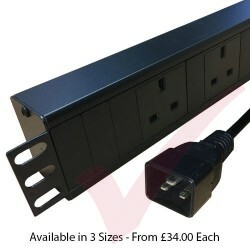 Both 0.5 Metre and 1.0 Metre UK Socket to IEC Connectors and plugs are available from Patchsave. 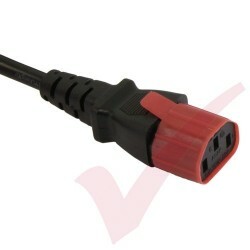 Each cable is UK manufactured using Low Smoke Zero Halogen type cable and individually PAT tested. 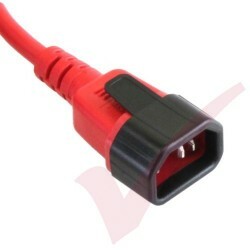 The power connectors are rated to 10 Amp. 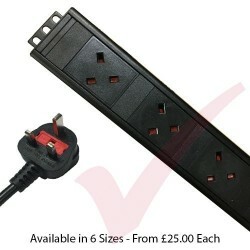 All Patchsave power extension blocks are surge protected and you also have the option of individual switched sockets on most configurations. 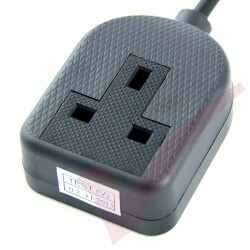 The trailing UK Plug lead is available in a 2, 3, 5 or 10 Metre variant. From local stock we can offer 1 Way, 2 Way, 4 Way, 6 Way extension blocks and also 8 Way and 10 Way Tower units. When C14 inlet is mounted in a piece of equipment take care not to damage the inlet when removing the connector. To remove SecureSleeve that remains in inlet after cord extraction turn off power source and use Non-conductive tool to extract. Only use with Yung Li or StayOnline brand cords. Don't attempt to use on other brands. When C14 inlet is mounted in a piece of equipment take care not to damage the inlet when removing the connector. To remove SecureSleeve that remains in inlet after cable extraction turn off power source and use Non-conductive tool to extract. 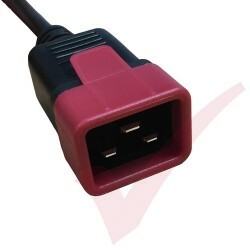 Only use with Yung Li or StayOnline brand cords. Don't attempt to use on other brands. 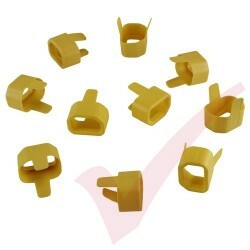 When C20 inlet is mounted in a piece of equipment take care not to damage the inlet when removing the connector. To remove SecureSleeve that remains in inlet after cord extraction turn off power source and use Non-conductive tool to extract. Only use with Yung Li or StayOnline brand cords. Don't attempt to use on other brands. 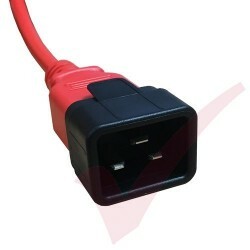 IEC 60320 tolerances are wide so the stability of a connection can be inadvertently separated. 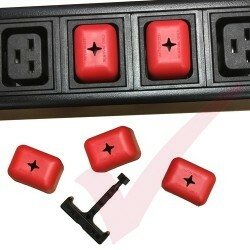 When mounting IEC320 C20 plug into an IEC320 C19 outlet the C20 Secure Sleeve Tab over-mold insert will make the connection stronger. 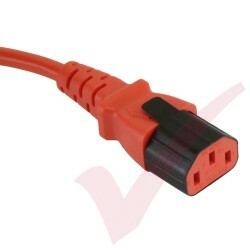 IEC 60320 tolerances are wide so the stability of a connection can be inadvertently separated. 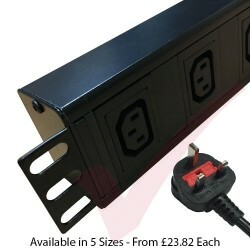 When mounting IEC320 C14 plug into an IEC320 C13 outlet the C14 Secure Sleeve Tab over-mold insert will make the connection stronger. 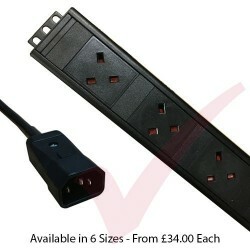 A huge range of PDU's available for next day delivery from Patchsave Solutions. 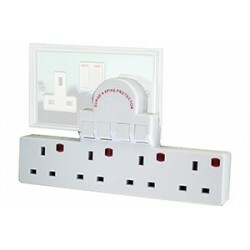 These include UK, C13 and C19 sockets in both Horizontal and Vertical rack mount configurations. 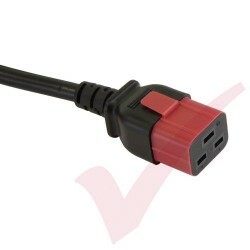 Supplied with your choice of 3 Metre trailing power lead to a UK, C14, C20 or Commando Type Plug. 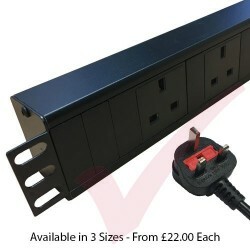 C19 outlet covers simply click in to PDU's to ensure that unauthorized IEC C20 power cables can not be installed. 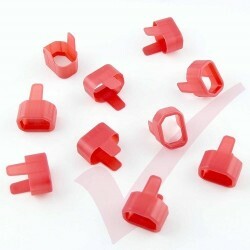 Supplied in packs of 5 and easy to remove with the special removal tool included.